:: Long hours and changing sleep schedules is taking a toll. 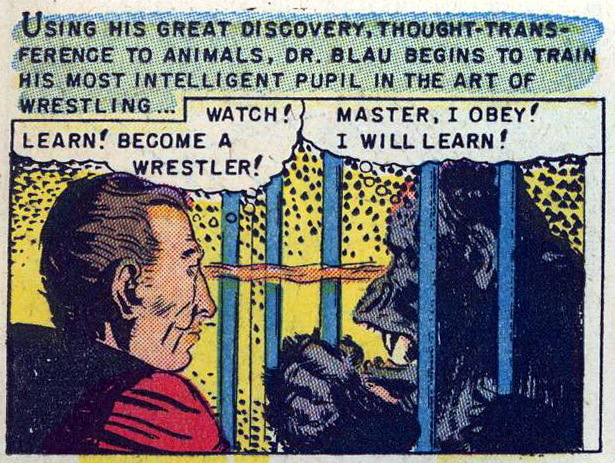 No energy for anything other than watching television and snoozing so I'll just post a funny comic book panel (From Beware #11, August 1952). :: It'll be about a month until I can afford to buy the next chapter of Futura. So should I wait for the real thing I can scan or post the awful, low resolution microfiche copy I found online? One of the things about religion that bothers me is how the sheer horror of some of the tales associated with a religious faith are sanitized. The terrible acts of man and deity that purportedly exhibit how awesome the Gods are have often been glossed over, cleaned up and presented in a manner that a relatively reasonable person could accept as not being too awful to turn away from. 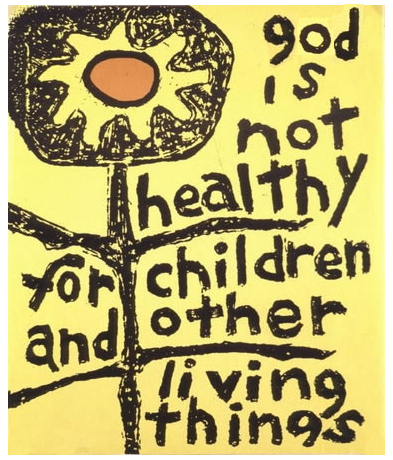 This is particularly evident when religion is taught to children who have little to no reference with which to compare how the real world works. 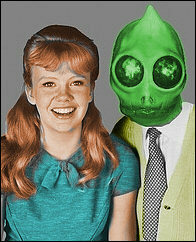 Children and unfortunately many adults do not think critically. Critical thinking must be taught in many cases. But it is hard to do so when fear of terrible retribution is the ultimate lesson. Children for the most part believe what they are told. Up to a point they do not have the capability to evaluate and decide what is real and what is fantasy. They trust and accept what their caretakers present to them. They are as apt to believe what they learn in a church as they are in a talking sponge that encourages them to share with others. Ironically, a child is probably able to determine that much of what they observe on television is fiction long before they question their belief in a magical sky fairy who will send them to eternal torment if they disobey their parents. So when I discovered the Passover Bag of Plagues at my local grocery store it stopped me in my tracks. 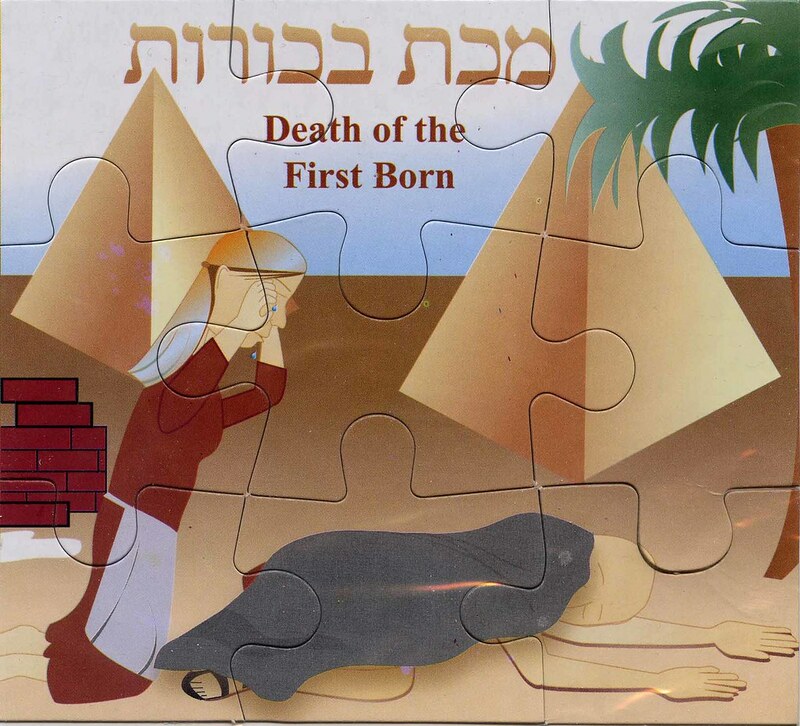 This "teaching tool" is a perfect example of taking descriptions of horrific events and rendering them bereft of shock so children can accept them without question. A child can not intellectually associate a plague of disease with horrible suffering. They simply accept the tale as fact. So the horrible is made to be cartoonish propaganda. In the modern era cartoon violence is often seen as harmless but there is a big difference between a cartoon and the lessons of religion: Bugs Bunny is not being taught to children as something real. 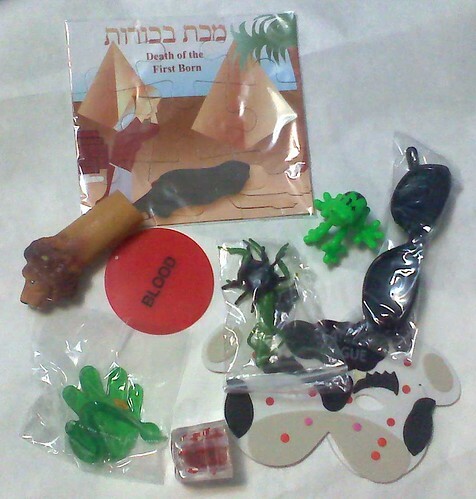 The Bag of Plagues contains fun toy representations of the fabled Ten Plagues of Egypt for children to play with and help them learn about how much God loves them over everyone else. 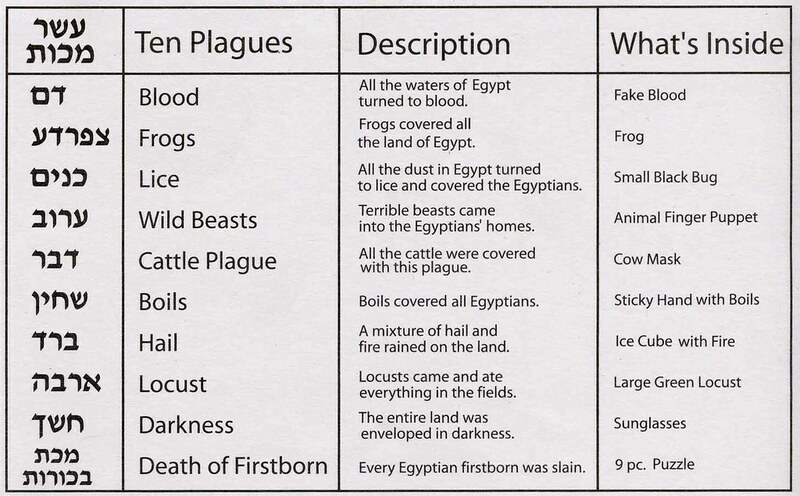 According to the legend, once upon a time God punished a Pharaoh for reneging on a promise to free a bunch of slaves. Now, one would think an all-knowing universal force could avoid causing some collateral damage but that was not how the story goes. While the Egyptians were supposedly the primary targets, even the innocent ones who did not agree with their government's domestic policy regarding slavery, pretty much everyone was boned in one way or another just because the Pharaoh wanted a year-round work force. The slaves, supposedly the chosen of God, had to have suffered along with the Egyptians. I imagine the rain of frogs put quite a strain on the infrastructure not to mention all the water was rendered non-potable and all the food was eaten by bugs. At one point the slaves even had to resort to painting magical blood spells on their homes to avoid getting whacked by over-eager genocidal angels. That's so crazy you couldn't make that stuff up. Except somebody did. I could brainwash kids with this stuff for hours! Sunglasses to simulate a darkness covering the land? How cool the Egyptians would have looked sporting some Oakleys! One of those springy sticky hands covered in disease? Keep that out of the carpet, kids! 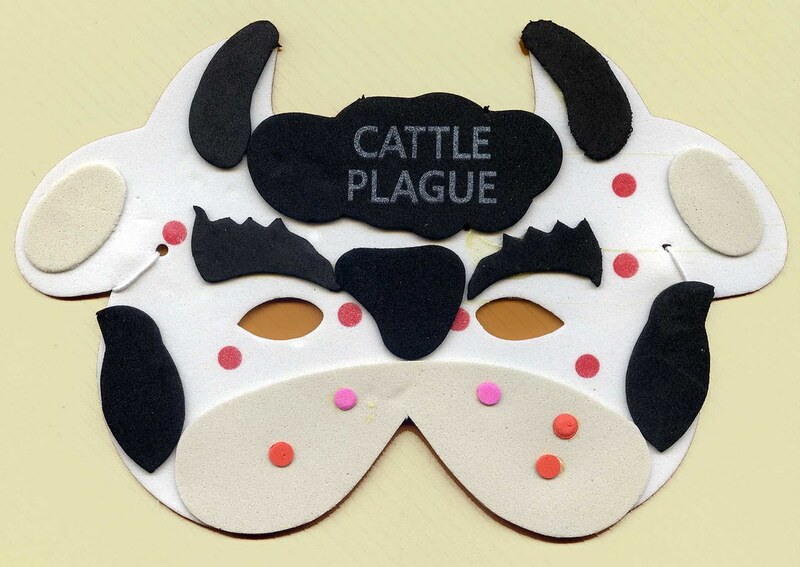 Of all these symbols of death and suffering the Cattle Plague mask is my favorite. What could be more fun and educational for a child than pretending to be an innocent cow cursed by God with disease and sentenced to a horrible, lingering death just to spite a politician? Good times! 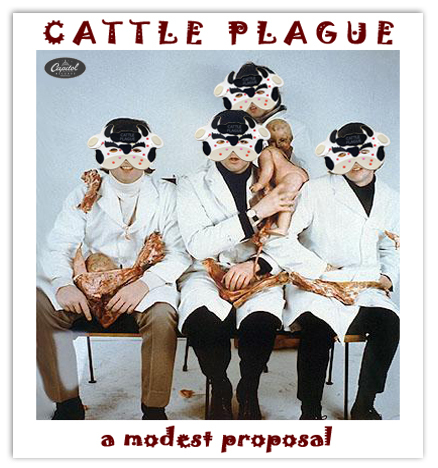 Cattle Plague sounds like an edgy indie band that exists only to make your parents angry. The piece of resistance though is the Death of Firstborn 9-piece puzzle. In a previous entry I linked to an example of the Dark Halo, the extinct video artifact caused by the limitations of the equipment of a bygone television age. 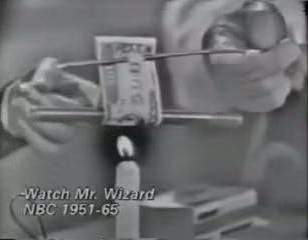 While the Jimmy Dean video had some good music and was a fine example of the unique lens flare it is this Boing Boing segment showing a candle burning on the old Mr. Wizard television science show that demonstrates the Dark Halo perfectly. Show it to your kids so they know how bad we actually had it and tell them to stop whining about how their computers are not powerful enough to play Goldeneye when chatting on the Tweeters at the same time. 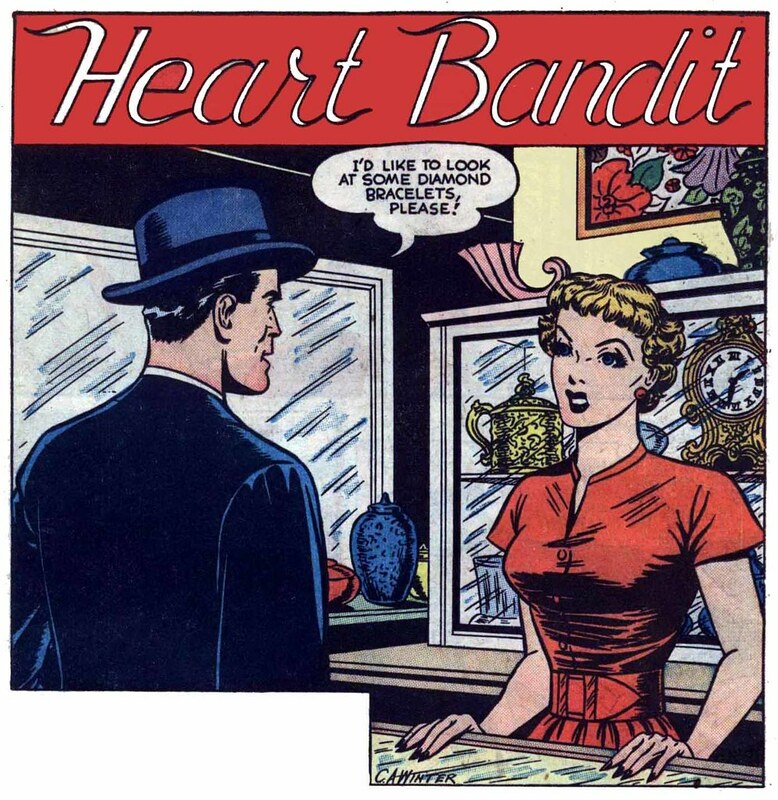 All Romances #2 (October 1949).